This platform gathers data centrally from any measurement device, regardless of manufacturer, make or model and allows access from any computer or device that supports a browser. This universality provides users with unparalleled flexibility and efficiency. Combining INTERPACT with a soon-to-be-available User Management system will allow an interconnection of users that will allow users to share and compare data between locations as well as to provide a level of oversight by clinical directors not yet offered by any other system. This degree of transparency in the analysis process raises the standard of treatment in any facility or network in which INTERPACT is employed. INTERPACT is a central tool that connects you to all of your devices and to all other users. 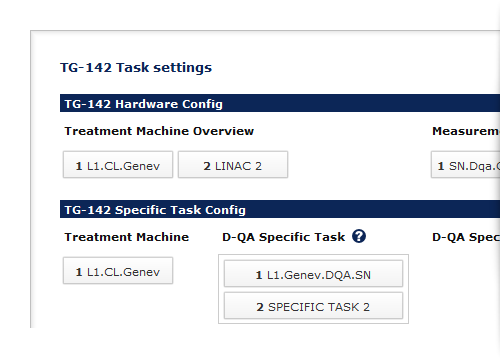 Customize INTERPACT settings to fit your own needs and that of your network. 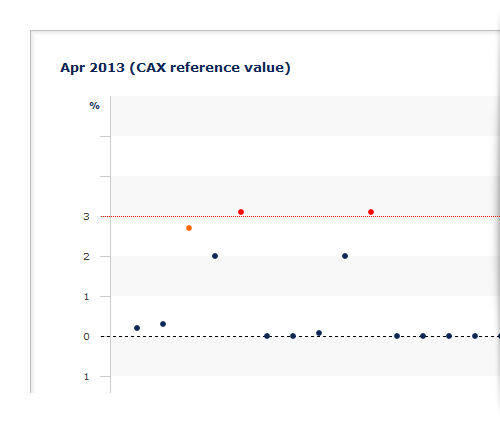 Continued input from our users allows us to continue development of INTERPACT’s functions and layouts. Be part of the movement! We can customize INTERPACT to meet your precise specifications and will help you find the best layout to fit your demands. Simply contact us for more information. This aspect of INTERPACT offers a simple and logical overview for identifying issues. 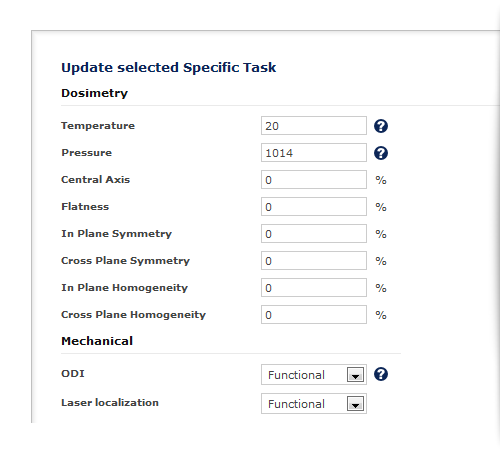 Status Overview functions as the control center for monitoring all of your therapy devices from any and all locations, using your pre-defined measurement parameters. 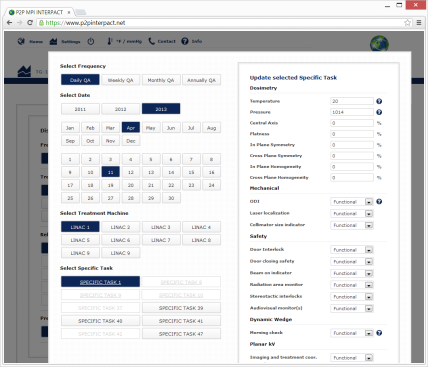 Oversee all LINACs, measurement devices and all measurement tasks in a single location. 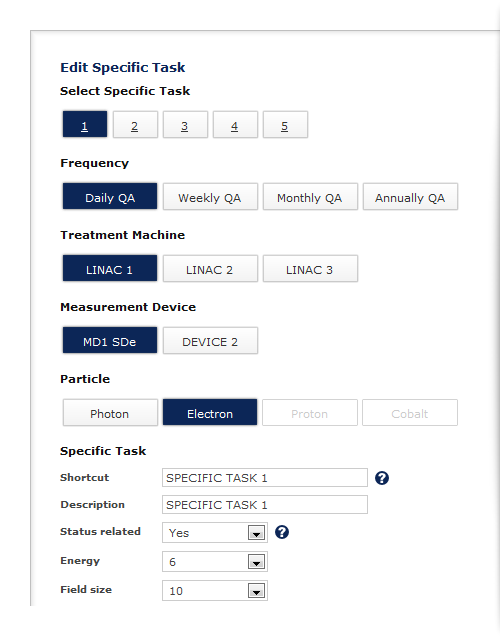 Organize data by measurement-frequency and LINAC, and adjust settings to meet your specifications. Using intuitive controls as well as a wide spectrum of possible settings allows INTERPACT to work seamlessly with your equipment and personal workflow. INTERPACT offers you a wide range of settings for treatment and therapy devices from the full range of manufacturers. 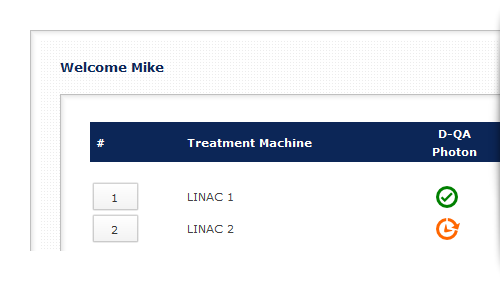 Quickly and easily organize and set up your treatment and measurement devices and their settings. Chose from a range of manufacturers or set up a custom profile. 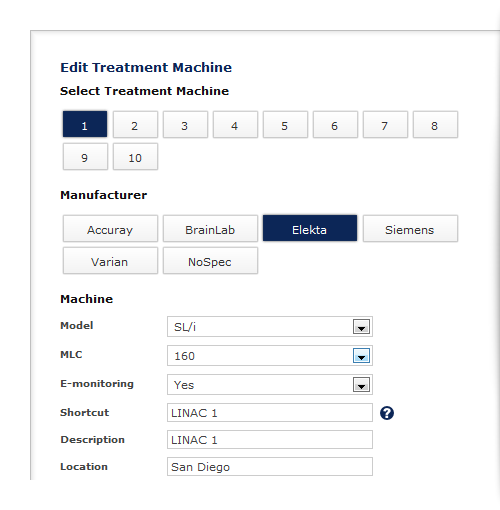 Create specific tasks for each of your treatment or measurement devices according to pre-set or customized specifications and parameters. (Dosimetry, Mechanical, Safety, Dynamic Wedge, Planar kV, Planar MV, MLC, Cone Beam CT kV, Cone Beam CT MV and Respiratory gating). Always stay up2date. Connect to specific tasks, clinics, colleagues and assignments. Manage tasks and organize the work process using one system. INTERPACT offers a wide and detailed range of possibilities for presenting your data, organized by your own criteria and using intuitive, flexible management to maximize efficiency. We offer a range of possible formats for presenting your data to show trends and offer an overview of performance any time you need it. 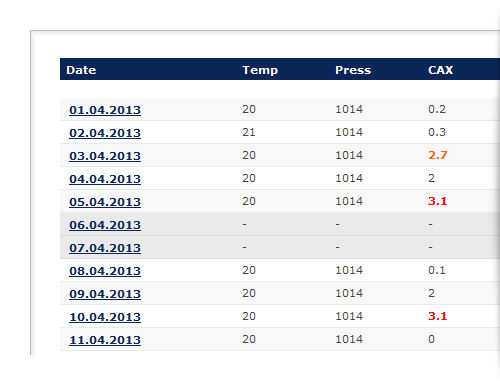 This feature is equipped with a print function that allows you to quickly and easily generate reports. Our data organization tools are designed for modern demands and are the product of years of experience. 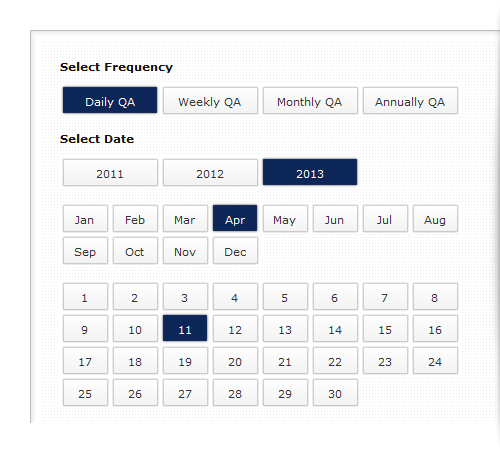 We offer optimized usability for managing your data combined with fast and secure access at any time from any location. INTERPACT offers you the possibility of quickly and effectively modifying your data, thereby giving you control over your data with the help of intuitive entry formulas. Using a sophisticated but simple and transparent upload script, INTERPACT makes it simple to enter and save data automatically.